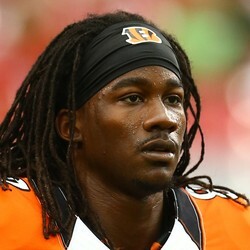 ESPN's Jeremy Fowler is reporting the Pittsburgh Steelers have released WR Cobi Hamilton. Although Hamilton had a role with the Steelers last season, they added JuJu Smith-Schuster in the draft and Martavis Bryant is reinstated. Since Hamilton was the low-man on the totem pole, he was the odd man out. He'll likely find his way on to a practice squad in the near future.